There is no better time to celebrate summer weather than during a year that popularized the term “Polar Vortex.” Gone are the days of risking frostbite to even get to the gym; the weather is finally nice enough to enjoy an outdoor workout! Take advantage of these sunny days, and get fit in the great outdoors. Here’s how! Mad love to you, treadmills, but the outdoors are calling boot camp fans. Open air boot camp programs keep all the cardio and strength building power of their indoor counterparts, but will have you gasping for *fresh* air in between sets. 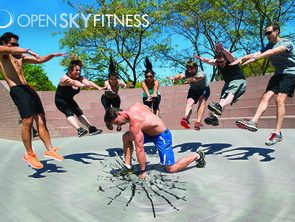 Check out our class finder for an outdoor boot camp in your area. Apply sunscreen, flip, apply sunscreen, repeat can only fill so many sunny hours at the beach. Take a break from taking a break and burn calories in the sand and water. Looking for inspiration? Check out our guide to burning 500 Calories on the Beach. Swimming is a great low impact exercise that burns calories while strengthening muscles and lungs. Much like running laps around a track, however, the back and forth of lap swimming can become tedious without a little variety. 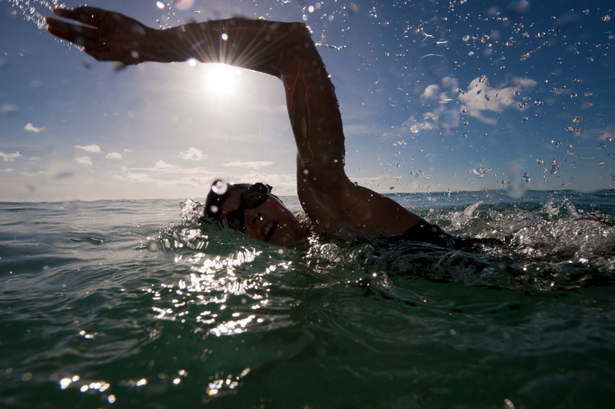 When the weather (and the open water) warms up, switch out a few lap-swimming sessions for open water swimming. As open water swimming is in a less controlled environment than a pool, employ the buddy system and pay attention to warning signs about water conditions before you jump in. Tap into your inner child in a summer recreation league. The kids might have Little League, even grownups can enjoy softball, soccer, kickball and even outdoor dodge ball, among other team sports. In addition to the fitness benefits, summer rec leagues bring out fellow fitness enthusiasts to keep as workout buddies all year! Or 5K. Or marathon! Whatever distance running goal you put off all winter, the summer is the time to tackle it. The longer daylight hours mean fewer excuses for skipping the post-work run. Check out our tips for working out safely in the heat, and get on the road toward your fitness goals! Looking for outdoor – or indoor – workouts to keep you focused on fitness this summer? Check out our fitness class finder to sign up for open classes in your area!